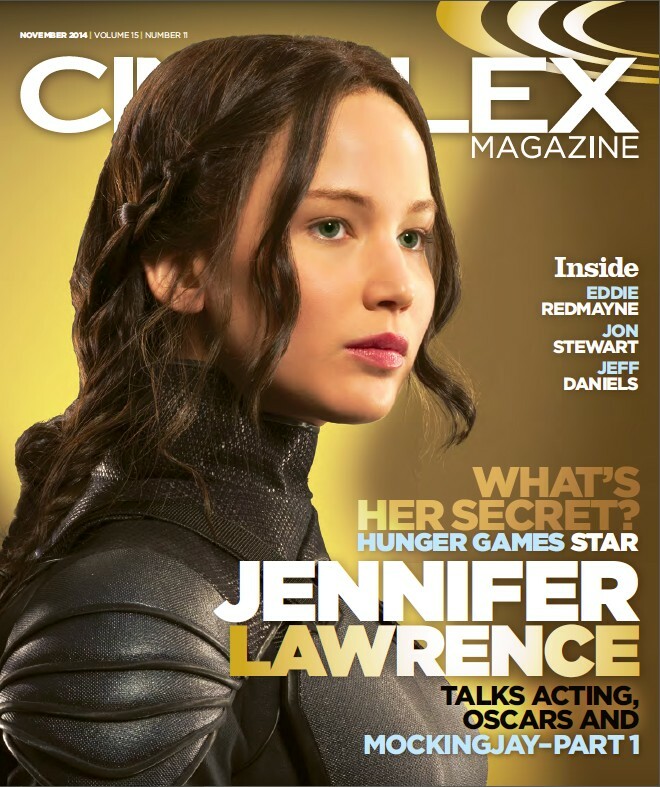 Cineplex Magazine have released their November issue, featuring an exclusive interview with Jennifer Lawrence. On the front cover is a new promo shot of Katniss. "Katniss wakes up in District 13, a District that she didn't know existed, and her entire home is gone, Peeta is gone," explains Lawrence. "So she really has to kind of rebuild herself from scratch. She's had a nervous breakdown from everything that's happened in the two back-to-back games, and losing Peeta." "A really big fear of mine going into this franchise," she continues, "was people would only be able to ever see this character when they looked at my face, and that's one of the worst things that could ever happen... In my job I want somebody to lose themselves in whatever character I am at the time." "Oh God, I don't want to tell you that," says Lawrence. "It's a really great ending, and you guys are going to be pissed." “On the last night we all laid and held each other like puppies,” says Lawrence, the other puppies being Hemsworth, Woody Harrelson and Josh Hutcherson.